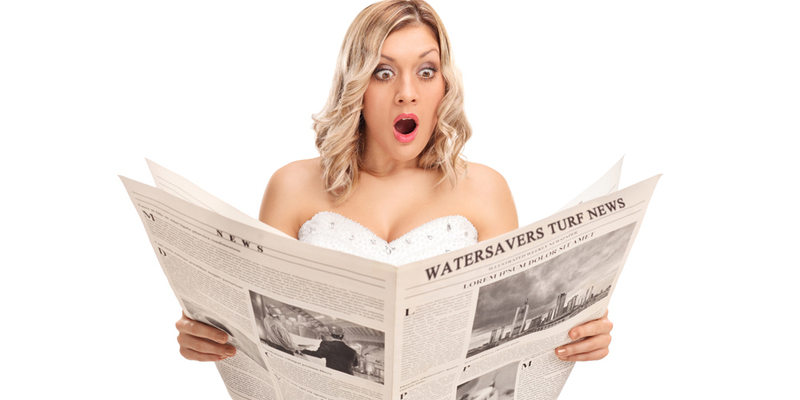 Watersavers Turf offers an artificial turf newsletter to keep you in the know about all the exciting things happening in the world of artificial grass news. In some of our newsletters, we have covered some fun facts about the history of sports. Some of the stories we have covered are about the histories of soccer, bocce ball, and croquet. Many sports are adopting artificial turf as a water saving replacement for more costly real lawn playing surfaces. People find they are saving both time and money when incorporating a synthetic lawn installation into their sporting event. We also cover subjects such as the AT&T Pebble Beach Pro-Am and the World Cup to keep you in informed about what’s going on current sporting events. Think of us as having our finger on the pulse of sports turf news. We show you how different groups are incorporating field grass. Why Read About Artificial Grass News? 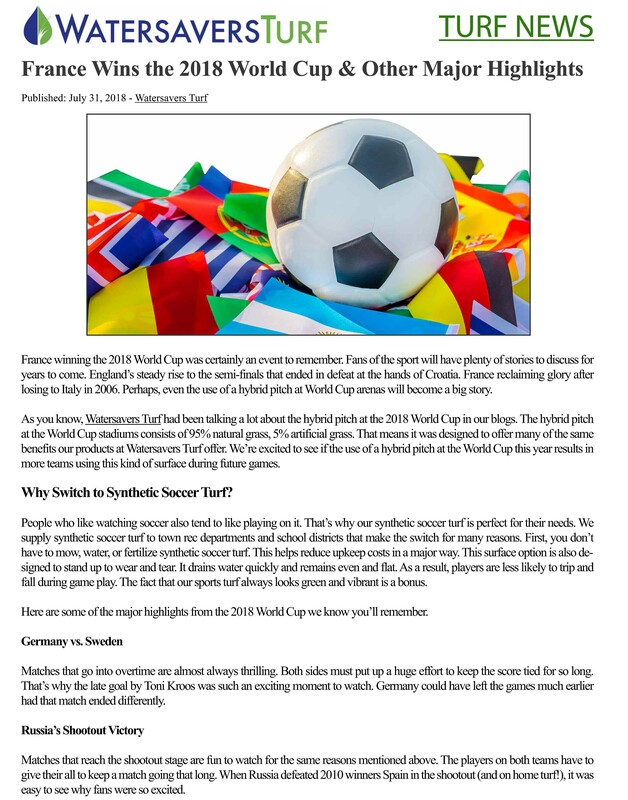 When you subscribe to our artificial grass news, you will learn interesting facts and trivia about synthetic grass as well as staying up-to-date on what is happening now in the artificial grass industry and in the world of sports. Join our artificial grass newsletter for insightful and interesting weekly sports facts and other fun information. Sign up for free below to get started!